Thanks to Ethreon and Casputin for helping me figure some stuff out. 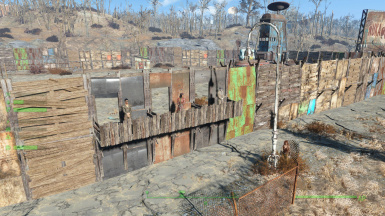 This mod was created to give settlements sturdy and imposing looking walls.I always found vanilla junk fences pretty puny. 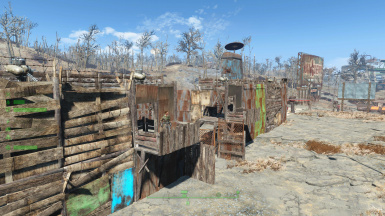 This mod very simply adds a tall junk wall set to the workshop crafting menu.The new pieces have snap points to make placement easy and to work well with vanilla pieces to create walkways and passages. The set contains a variety of straight walls,90 degrees corners,30 degrees curves,and guard posts and gates with the right snap points for the set. 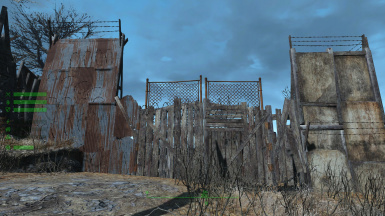 The set contains a Hallway piece that can serve as an alternate doorway.Stairs,railings and specific junk wall and doors can be snapped to the hallway to obtain different results.The pieces are added to the junk fences category of the crafting menu. And guess what?We are gonna have the molerats pay for it.Believe me. "That's a bigly mod. Trust me, I know mods, and I'veen a lot of mods. I've seen big mods, I've seen small mods. This mod has it all, it's got things that you need to have it all. All of those things? It's got 'em. Sometimes I move on the mod and grab 'em by the comment section, you can do that when you're a supporting member, you don't even have to ask, they love it." "As artillery strikes were going on, I was sitting in front of the most beautiful mod you have ever seen. I know everything about mods. I had a summit with Mayor McDoughnut last night and after 10 minutes I learned a lot about the history of mods. Deep history. How they work. It was amazing. Beautiful. Don't believe the fake news. #MAGA"
"You're a very HIGH Energy person, PCDug. Beautiful ! Believe me, everybody tells me you make the best mods. The BEST, mods ! The best. And they're so good ! I would date your mods if they were not underage." "Our number one responsibility is to protect the settlement. We are a compassionate settlement, and I support the wasteland resettlement program, but it’s time to reevaluate and strengthen the vetting process. This is why we passed bipartisan legislation in the wake of the Concord attacks to pause the intake of refugees. PCDug is right to make sure we are doing everything possible to know exactly who is entering our settlement." "When the Commonwealth sends its Raiders, they're not sending their best. They're bringing in Chems, they're bringing in crime, they're rapists, and some, I assume, are good people. 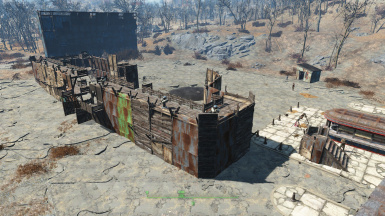 But thanks to this HIGH ENERGY mod I can build a wall and secure the boarders of my settlements. This is a big, beautiful mod, and I've seen a lot of mods in my day, believe me, but this mod is one of the best, folks, one of the best." 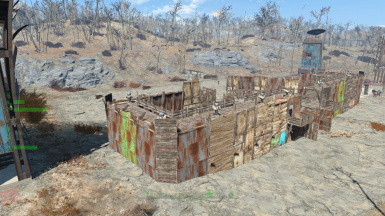 "Just started walling off more and more settlements. This mod has the best walls, bury them in the ground and they are still yuuuuuuge. Gives the wall a clean, symmetric look. It has the best looks. Tremendous. 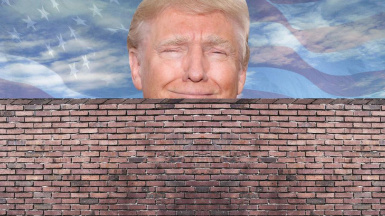 You will love the new walls, believe me. I have seen all the walls. Big walls. Small walls. Metal, wood, concrete. But this ist the best. 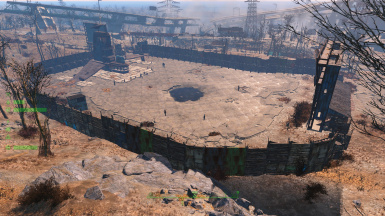 The finest, most secure walls all around the Commonwealth. 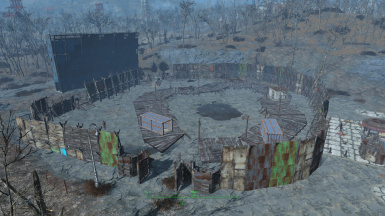 Better than Diamond City wall. They have a good wall, green and clean. But as Piper news pointed out, it has holes, big holes. Not very secure. No fake news, i know fake news. Piper has the best news around the world. Just like this mod has the best walls. Trust me..."
* Nexus Author Ethreon provided an important mesh for realizing the tall wall guard tower.You can thank him for sweet defenses. *Robboten and KKtheBeast get a standing ovation for helping me realize the bigger better wall.Tremendously good people.